Tanzanite is the one of the most recently discovered gemstones. On July 7th 1967, Manuel De Souza, a tailor and part-time gold and gem prospector from Goa, India, was looking around the foothills of Mount Kilimanjaro in Tanzania. He (quite literally) walked over a blue crystal lying on the ground. Later, it was asserted that the Masai herdsmen— whose cattle had kicked up the stone— had found it first, and that they had seen the color of brown zoisite change to blue after lightning fires swept the area. Either way, it was De Souza that claimed and classified it—first as a peridot though it was later identified as a blue zoisite. In 1969, it was named Tanzanite by Tiffany & Co. as an homage to the country from which it comes. 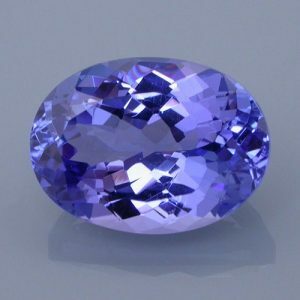 As it is only mined in the very small area in which it was found (approx 4 by 2 kilometers), Tanzanite is extremely rare. Adding to its scarcity is the diminishing supply and a distribution that is tightly controlled. According to some gemologists, the factors that resulted in the formation of Tanzanite were so specific and exceptional that it is highly unlikely that another source will be found on earth, thus making the gemstone about 1000 times more rare than diamond. Though this has not affected the price of Tanzanite yet, it surely will in the next few decades. Tanzanite is usually heated to change the brown hues to corn flower blue. 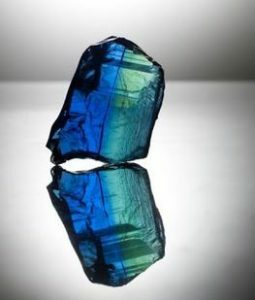 This is expected and does not diminish the value of the stone; it is quite rare and hard to find a naturally blue gem as most “untreated” blue stones have been heated. It is trichroic, meaning that light shined through it will be split into 3 different wavelengths. The result is that different colors will appear at different angles, usually gray, purple, and blue. 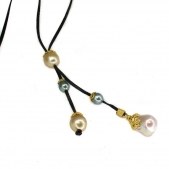 It is up to the gem cutter to choose the color by picking the facet on which to cut: smaller stones are usually the most blue, larger cuts can have more of a violet tint. Though it only rates a 6.5 to 7 on the hardness scale. 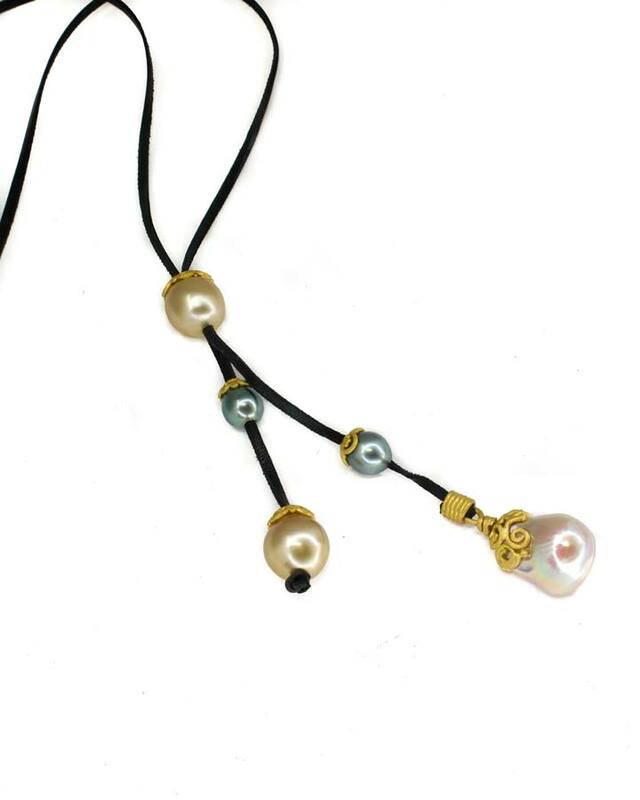 It’s resistance to scratching and abrasion is relatively good. 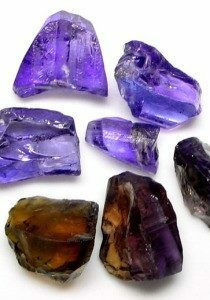 Associated with the throat chakra, Tanzanite promotes compassion, calmness, and clarity of the will to aid in manifestation.